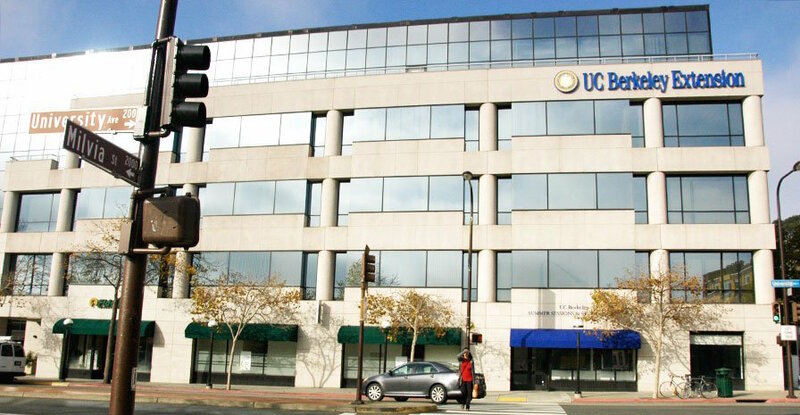 ATD SF East Bay - UC BERKELEY: “FEARLESS HR"
Special subsidized rate for transitioners. ARE YOU AN L&D BUSINESS PARTNER? IF NOT, YOU NEED TO BECOME ONE SOON! We have a very special meeting for you this month. David D. Forman, the author of FEARLESS HR, will explain how to remake HR and LEARNING & DEVELOPMENT to build something new. Fearless HR is a best-selling, bold new book that examines the HR profession and provides a path forward for a function that has been often questioned and criticized. The story of Fearless HR is about overcoming past perceptions, seizing opportunities and driving business results. The book synthesizes over 100 research studies and provides 45 practical tools for streamlined implementation of HR's and L&D's future roles. Forman contends that HR and L&D must first confront the past before moving forward. Without addressing negative historical perceptions head-on, they will continue to be ingrained into corporate memory. Furthermore, Forman believes that HR and L&D have suffered from unclear responsibilities and "fuzziness" of purpose." He argues for a much stronger alignment to the business so that the business's scorecard is HR's scorecard. Come hear the story of Fearless HR, and then Forman-with 25 years of experience in the training industry-will make the connections to the learning and development community. Five specific tools will be presented that enhance Learning and Development's contributions to the organization. 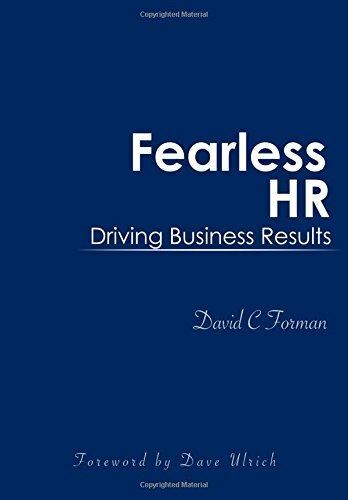 David C Forman is the author of Fearless HR, the President of Sage Learning Systems and former Chief Learning Officer of The Human Capital Institute. The courses he has developed and taught for HCI have been taken by thousands of HR professionals all over the world. In 2002, David worked with SHRM to create materials to support the GPHR certification program. Prior to these experiences, David spent 25 years in the training industry, working with large global organizations to improve the knowledge, skills and performance of their people. Major clients include FedEx, IBM, DuPont, Microsoft, SAP, American Express, PwC, Ford, Prudential, Apple, Scripps Healthcare, Allstate Insurance and the University of Farmers. In 1984, David had the unique opportunity to work with Apple on the release of the Macintosh; and several years later to help IBM streamline and cross-train over 22,000 manufacturing employees. David has written more than 40 articles on talent management, analytics, strategic human resources, learning systems, high-performance cultures and leadership. He has also spoken at many national and global talent and leadership conferences, both in his role of hosting HCI’s conferences for many years but also as a key note speaker.